Fort Worth, Texas-based Weaver (FY14 net revenue of $88.1 million) announced the promotions of the following professionals to partner: Sara Dempsey, assurance services; Rob Myatt, tax and strategic business services; Neha Patel, IT advisory services; Justin Reeves, tax and strategic business services; Mike Stein, risk advisory services and Chad Valentine, assurance services. 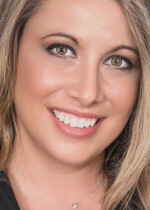 Dempsey joined Weaver’s Dallas office in 2005 and has more than 12 years of public accounting experience, providing financial statement and single audits for government and nonprofit entities. Leading audit engagement teams for municipalities, school districts and nonprofit organizations, Dempsey delivers specialized industry knowledge to her clients, including insight into the rules and regulations associated with nonprofit and governmental accounting, auditing and single audits, as well as the requirements for Comprehensive Annual Financial Reports (CAFR) for the Government Finance Officers Association (GFOA) Award for Excellence. 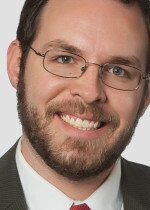 Myatt joined Weaver in 2006 as an intern and has more than nine years of public accounting experience with a concentration in consulting and compliance for partnerships, corporations, individuals and state and local income tax. His extensive industry experience includes energy, focusing upstream and midstream oil and gas and manufacturing. He also has in-depth experience working on multi-state tax issues and serving high-net-worth individuals. Patel joined Weaver in 2009 and has more than 13 years of experience in public accounting and internal audit, almost a third of which was with a Big 4 firm. She focuses on governance, risk and compliance and has extensive experience leading outsourced and co-sourced internal audit engagements for public and private companies across several industries including financial services and oil and gas. 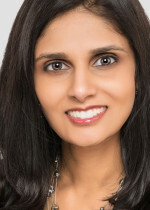 Patel leads the firm’s methodology for executing service organization control (SOC) audits, integrating both her financial reporting and technical knowledge. 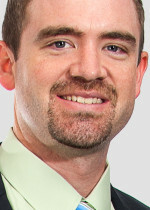 Reeves joined Weaver in 2005 as an intern and has 10 years of experience in public accounting. He focuses on tax services for high-net-worth individuals, family investment partnerships, private foundations, nonprofit organizations, estates and trusts. 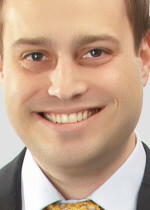 He also brings to his clients extensive industry and technical experience including litigation support in executor liability and estate disputes, as well as preparing court-ordered and client-requested fiduciary accountings. Stein joined Weaver in 2004 as an intern and has 11 years of experience in public accounting including risk management, compliance, business process improvement and internal audit. He focuses on outsourced and co-sourced internal audit, Sarbanes-Oxley (SOX) compliance and business process improvement consulting for the upstream oil and gas, manufacturing and public sector industries. Stein also works with Weaver’s renewable and energy compliance industry practice, providing attestation services required by the Environmental Protection Agency’s (EPA) Code of Federal Regulations. 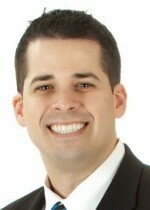 Valentine joined Weaver in 2010 and has more than 10 years of experience in public accounting. He focuses on audits, reviews and agreed-upon procedures for energy companies. Valentine’s clients include publicly held and private companies, including those that use generally accepted accounting principles (GAAP), other comprehensive basis of accounting (OCBOA), full-cost and successful efforts methods basis of accounting. Valentine is experienced with GAAP to international financial reporting standards (IFRS) conversion and working with Systems, Applications & Products (SAP) systems, specifically R/3 clients.